Dr. Rinat R. Green is the Founder and Executive Director of Kol Koreh. She is a licensed psychologist both in the United States and in Israel. She received her doctorate in psychology from Pace University and completed her Post-doctoral studies in Forensics at North Shore University Hospital in Manhasset, NY. Dr. Green is the mother of 7 beautiful children, including children with dyslexia and other language-based learning issues. She founded Kol Koreh in response to the growing awareness that many capable children with language-based learning disabilities are struggling in the mainstream and special education system. With her passion, drive, and determination to enable all children to succeed academically and in life she decided to combine her background in psychology and experience as a mother of learning disabled children to invoke a research-based educational solution for these children, that addresses their challenges, while recognizing their areas of strength. Dr. Green made aliya with her family in 2009. Shortly after arriving in Israel she helped establish Magen, a child protection organization, and continues to lecture on behalf of the organization. While helping her community has always played a central role in her life, Dr. Green takes greatest pleasure from being a wife and mother. Vanessa received her bachelor’s degree in Health Science, with an emphasis in Health Promotion at San Diego State University. Vanessa has worked on a number of public health issues. She then went on to incorporate her background with agencies that advocated for the elderly population. In 2006, Vanessa and her family made Aliyah. During their first year of Aliyah, one of their children had learning issues that was camouflaged by the Aliyah experience of dual languages. In seeking proper help for her child’s learning needs, Vanessa became increasingly aware of the limitations in academic support for these children in the educational system. Vanessa was longing for better support and recognition for these children’s learning needs. She came in contact with Kol Koreh and was impressed and relieved to find an organization that was addressing this crucial situation. She became an active member of the organization and recently was appointed it’s Chairperson. Vanessa resides in Beit Shemesh with her husband and six children. Tamar Lesnick pursued her EdD studies in Education Admiration at Yeshiva University. Tamar was Director of Educational Projects at the Board of Jewish Education in New York City. Prior to this, Tamar was the Director of Tichyia Organization in New York and Principal of Gratz Supplementary High School in Philadelphia, Pennsylvania. Since making Aliya in 1997, Tamar served as assistant principal and coordinator of special projects in Ulpanit Amit Noga in Bet Shemesh. She is also a certified coach for learning disabilities and ADHD. As a volunteer, Tamar has facilitated numerous chesed projects in Bet Shemesh . One of her major goals is to continue to promote educational and chesed programs for all people of all ages. Tamar resides in Beit Shemesh with her husband and children and is a proud grandmother of a one year old granddaughter. Leah Haber earned her doctorate in psychology from George Washington University in Washington, DC. 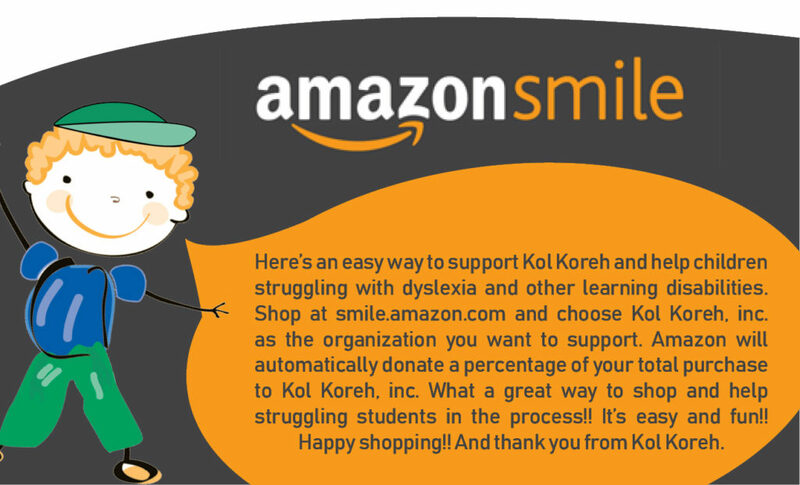 She is delighted to be involved in Kol Koreh’s crucial work advocating for and educating the children of our community with dyslexia and other language based learning difficulties. Leah made Aliyah 10 years ago with her family. She maintains a private practice in Ramat Beit Shemesh where she lives with her family. As Dena was researching alternative education options for one of her children, recently diagnosed with dyslexia, she discovered Kol Koreh. She was amazed at the scope of the organization’s offerings, and the crucial role it plays in the lives of families dealing with dyslexia. Dena quickly became active in Kol Koreh, and is honored to serve on its board. Dena works in the field of social media and online marketing. She made aliyah with her family in 2010, and lives in Ramat Beit Shemesh with her husband and three children. Originally from the New York area, Lisa made Aliya with her family in 2010 to Bet Shemesh. Lisa has a law degree from Cardozo School of Law. She has spent the last several years as a stay-at-home Mom. Recently Lisa has become involved with Kol Koreh and has trained to help students with dyslexia to read and write successfully. She is currently working with several students and finds the work very fulfilling. Shira Schijveschuurder has extensive experience working with a wide range of special needs children since she was 16, including both working in special needs institutions and mainstreaming. Shira has also worked with teenage girls at risk. Shira lives in Ramat Bet Shemesh, where she is fully occupied by her wonderful children! Elisha has a degree in political science. A retired colonel following a long service in the Israeli Air Force where he held a variety of senior positions in the fields of management, command, and human resources. Since retiring from the Air Force, Elisha is involved in many community projects and various business functions. Elisha Volunteers at “Kol Koreh”- bringing with him extensive management experience and the “Sabra” culture.